Pertinent information about physical therapy and how it can change your life for the better. It finally seems like winter is here! Check out this great pre-sking mobility routine to help get warmed up for that epic powder day! Run through this active mobility series 3-4 times in a row before you hit the slopes. The positions should only be held for a few seconds before progressing to the next exercise. - Pull knee to your chest, step forward into a lunge, twist torso toward forward leg. - Stand on one leg, keep knee straight and bend forward toward toes. Option to add a rotation to the back leg. 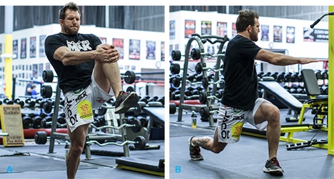 - Take a large step forward with left leg and bend your knee into lunge. 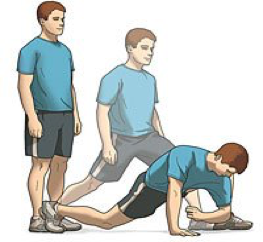 Drop left elbow to the floor next to your foot. - Slowly lower your body to the floor hands out to the side. - Drive your right heel towards your left hand by activating your glutes. Keep your shoulders down. - Place your hands under shoulders and press into downward dog. Combining clinical expertise with an unparalleled focus on customer service.